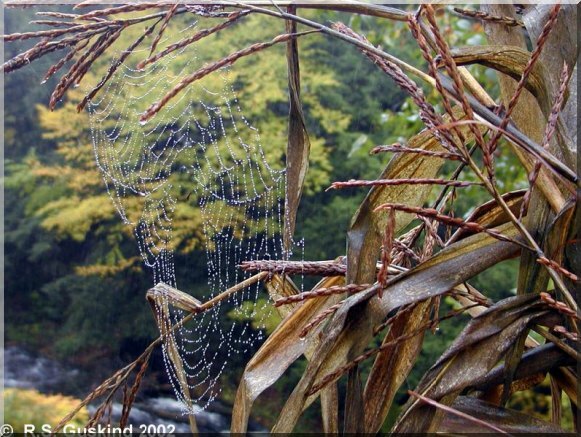 A spider web on a ranch in Montague, Massachusetts. Ranch Vacations in Massachusetts opens up a wealth of guest ranches offering bed and breakfast, homesteads, farm houses and farm cabins that are self-catering. There are some great guest ranches to choose from, and best of all, it means that when you take your family on a farm holiday it is not going to break the bank. These are reasonable vacation rentals that are far cheaper options than staying in a hotel and in addition to a relaxing environment the kids will always have something of interest to do. Many of these farms and ranches are working farms so there are animals to see, fields to explore, eggs to help collect and lots of space to run around in. There is so much to see and do in Massachusetts that you certainly will be spoiled for choice. Depending on where you stay you can visit some places that you have only read or heard about; Cape Cod, Martha's Vineyard, Nantucket, Boston, Rockport, Salem and the beautiful Berkshires for spectacular countryside and antique hunting. It's a land of woodlands and coastlands, waterfalls, rivers and undulating hills. If you are planning a ranch vacation here then you shouldn't miss the historical places that abound. Boston would be your first stop. One of the first and largest colonial towns to be established where many immigrants arrived from England. Boston is also famous for making a stand in the Revolutionary War, along with Lexington, a suburb of Boston. Visit Salem and see the monument dedicated to all those accused of witchcraft in 1692. Plymouth is of course the place where many immigrants landed and perished in the years of arriving and Plimouth Plantation is an open-air museum depicting how the village would have looked in 1627. Another open-air museum is at Old Sturbridge Village, where daily life is recreated covering the years 1790-1840. This is certainly not a complete travelogue of Massachusetts - far from it. However, it should be enough to whet your appetite and to see that there is certainly plenty to see and do on your ranch vacation to this area. So visit a holiday farm and book a ranch vacation rental. From luxury ranch vacation options to cosy and romantic bed and breakfast farmhouses offering you mouth-watering breakfasts that will give you a great start to your day, and everything in between. Take a look at our guest ranches, see what they have to offer and come and book your holiday farm today! For those of you who already live in Massachusetts and you are looking for fresh farm produce come and see what our farm stores in Massachusetts have to offer. Support your local farmer, keep the money within the community, help with local employment and eat fresh produce that hasn't been sitting in cold storage for days on end. Why pay more for second-best when you can have something so much better at half the price?